The Mekong giant catfish is the largest freshwater fish, a species endemic to the Mekong River that migrates huge distances to spawn. Scientists estimate that the total population of Mekong giant catfish has decreased by around 90% in the last decade, with potentially only a few 100 individuals remaining. This catfish species is now only found in the mainstream of the lower Mekong River in Myanmar, Lao, Thailand, Cambodia and Vietnam. It used to be relatively common further north along the Thai-Lao border but is now extremely rare in this area. 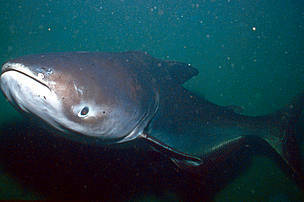 Scientists estimate that the total number of Mekong giant catfish have decreased by around 90% in the last decade. 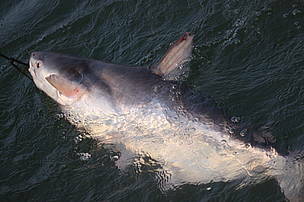 No population figures are available, and estimates of the decline are based on the fall in the number of specimens caught. Some experts believe there may only be a few hundred Mekong giant catfish surviving. Why is the Mekong giant catfish under threat? Threats to the Mekong giant catfish, and several other giant migratory fish species in the Mekong River, include infrastructure development such as dams that block migration routes and isolate some populations. Without the ability to move up and down rivers, the fish have fewer opportunities to breed. Navigation projects have also destroyed critical spawning grounds and pollution and siltation have also had an impact. A further major factor in the decline of the Mekong giant catfish is over-fishing. How is WWF protecting the Mekong giant catfish in the Greater Mekong region? Through its Living Mekong Programme, WWF aims to ensure that environmental and social impacts are taken into account in the development of additional hydropower infrastructure. On this, we work in partnership with other organisations including the Mekong River Comission (MRC) and the Asian Development Bank (ADB). WWF also implements projects dedicated to the conservation of the Mekong giant catfish including research and monitoring, and raising awareness. In particular, we have supported the release of captive-bred adult specimens into the wild and have carried out research projects in partnership with the National Geographic (see video on the right).